It’s vital for the most accurate information to be listed online. Your Google listing is how your clients and potential clients find you. As a business owner, you will want to extend your reach when it comes to visibility and make your business’s presence known. 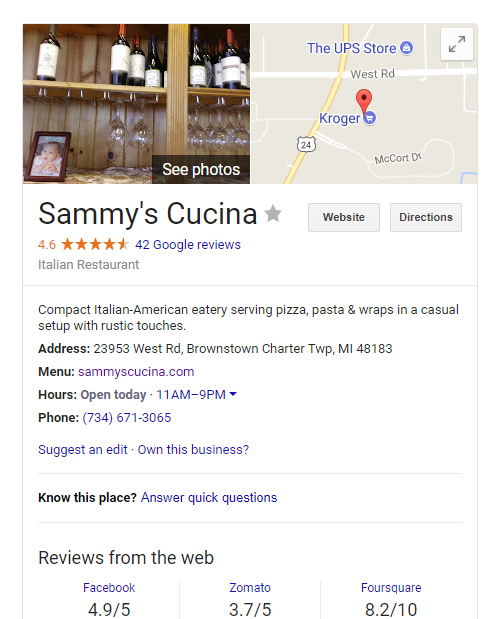 Over the years, Google has made updates and added new features to their My Business section and in the past we’ve had trouble locating where and how-to update our own Business’s information. We recently came across this article on how to Change Your Business’s Address on Google and it hit the nail on the head for us. Sign in to Google My Business. From the main menu, you should be able to view all your business locations. Select the location that needs to be updated and click Manage Location. Click Info at the top of the page. The Info menu should let you edit (by clicking the pencil icon) anything from the address of your business to the hours. Click Apply. You should be able to see the marker for your business on a map. If Google is unable to find the correct location for your business, you can drag the pin manually and drop it. Click OK. It may take some time for your edits to be published. Plus, within this same article, find out how to change your business address on Yelp. Update your business listing with the most current information as soon as possible. Even if you think it’s current, double-check. It’s not worth losing a client or potential customer because they can’t find your business. Happy Google-ing!